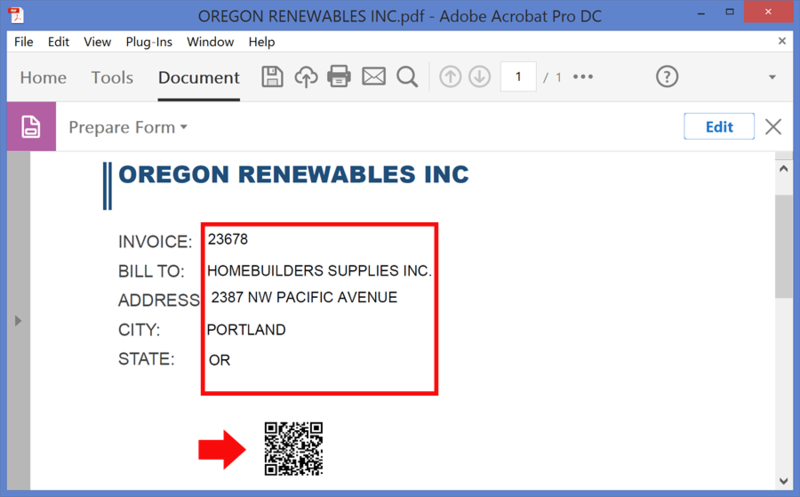 It is often necessary to add a barcode field to a PDF document. The barcode field can encode one or more PDF form fields located on the same PDF form. 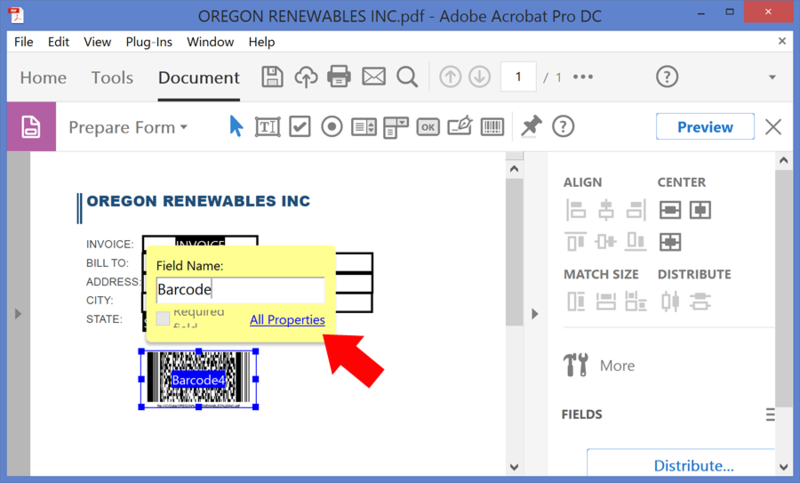 The Adobe Acrobat provides a tool for placing and configuring barcode fields that supports the following types of symbology: PDF417, QR Code and Data Matrix. It is necessary to configure properties of the barcode field with a list of fields it is going to encode. Once configured, the barcode field will update its appearance automatically based on the content of the form fields. 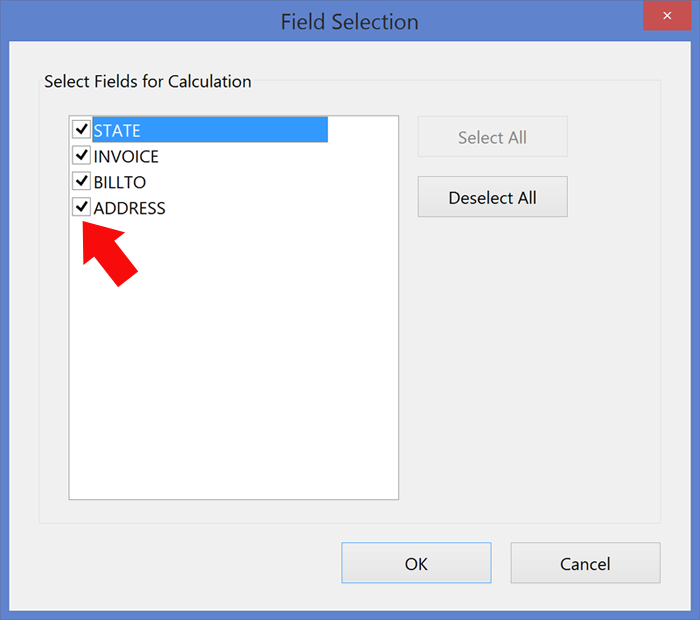 If a value of one these fields changes, then the barcode field will automatically reflect that. Other barcode types (such as Code 39 - aka Code 3 of 9) can be implemented via using special barcode fonts with regular text fields. There are multiple free barcode fonts available on Internet. 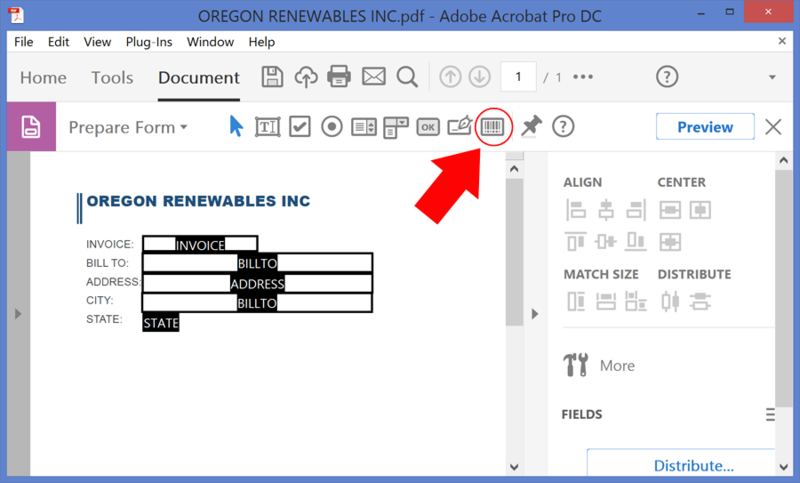 The AutoMailMerge plug-in can be used to populate PDF form fields with data from spreadsheet or database and update barcodes. 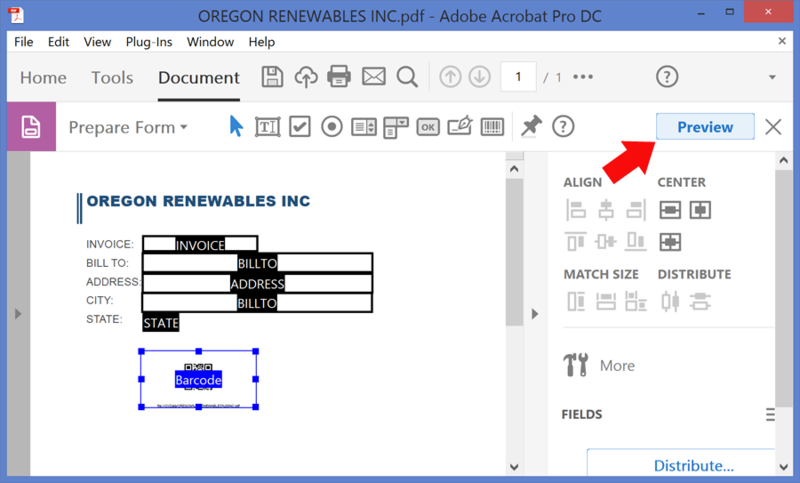 The following tutorial explains how to add and configure a barcode field using form editor in Adobe Acrobat DC. 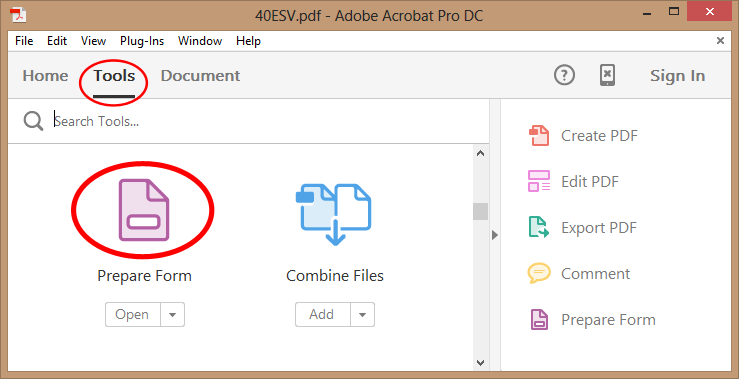 First, place all non-barcode fields on the PDF form (see tutorial). 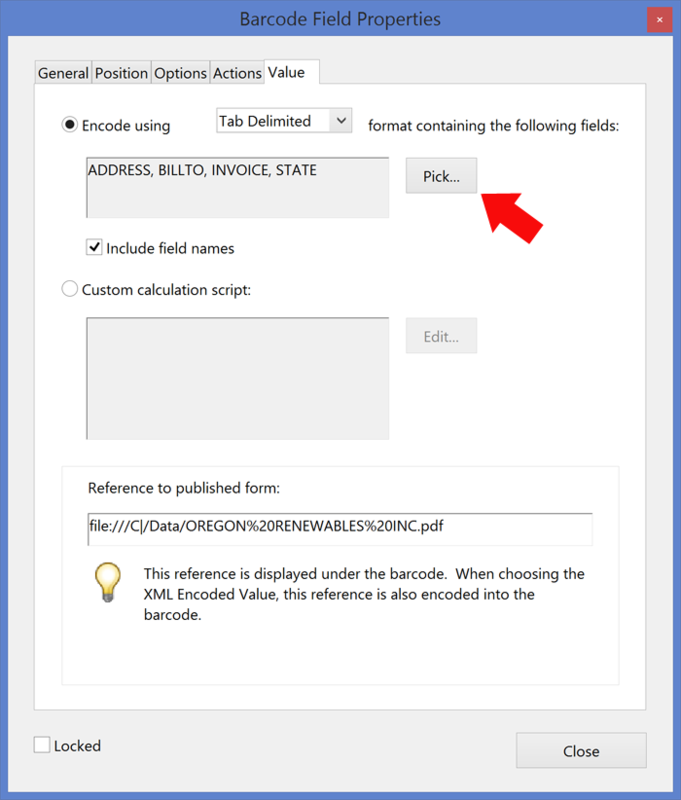 Once all fields are added to the form, then the barcode field can be added to the document by using the following procedure. Next, go to "Value" tab and press "Pick..." button to select form fields that the barcode field is going to encode. 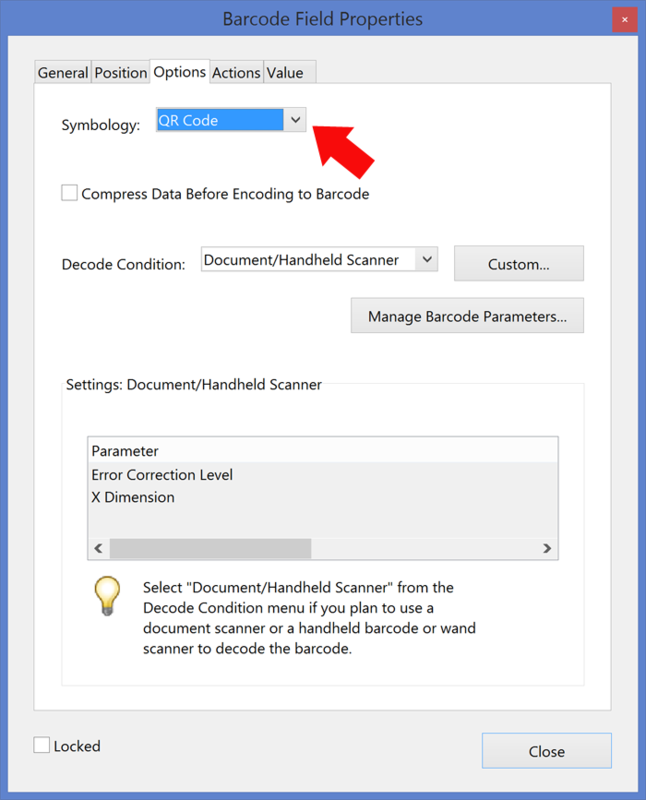 By default, the barcode field is automatically setup to encode all fields from the current document. Press "OK" button to close "Properties" dialog. Now the barcode field is configured to encode selected form fields.